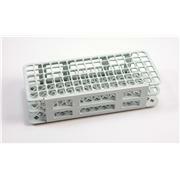 Lightweight yet strong racks for use with mechanical washers and autoclaves. 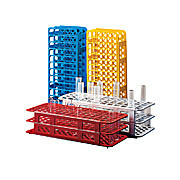 Durable construction will withstand repeated use in the lab. 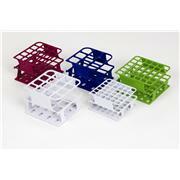 Perfect for bench top usage with easy viewing and storage of contents. 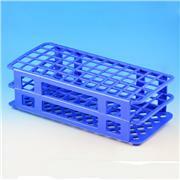 Constructed of polypropylene, these racks will not rust or deform. 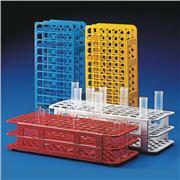 They can be frozen or autoclaved and fold flat for storage. 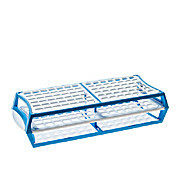 Open design is ideal for use in a waterbath. 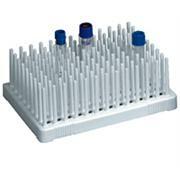 An alphanumeric grid is located on the top surface.